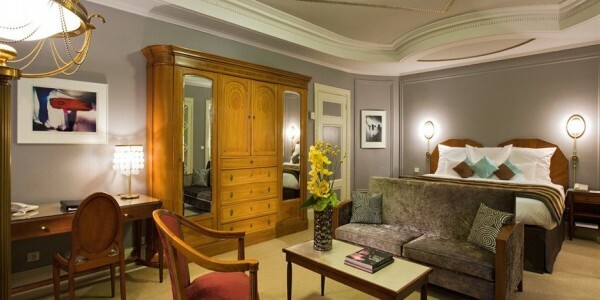 Welcome to The Westin Paris – Vendôme. Its ideal location in the city’s first arrondissement makes The Westin Paris – Vendôme easy for guests to combine business and pleasure. 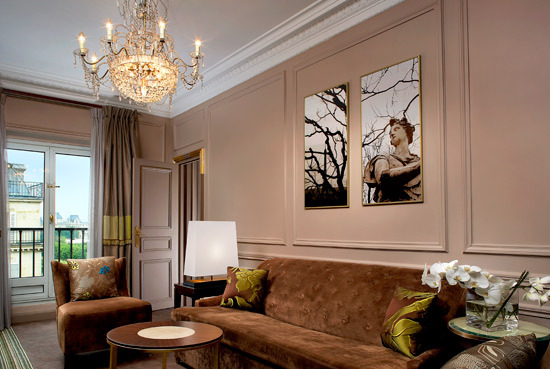 Recharge in our inspiring rooms and suites Discover the perfect balance between traditional Parisian influence and contemporary design in one of our 440 rooms and Suites. 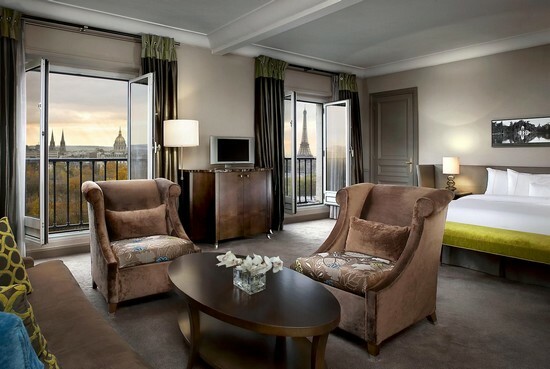 Enjoy some downtime but also a breathtaking view from the Louvre to the Eiffel Tower in our unique view rooms. Each of our 78 suites has its own unique design and allows for the utmost in relaxation, work or entertainment. Harmonize your body and soul with a pampering session at our spa, the first Six Senses in France, and rebalance your energy in our WestinWORKOUT® Gym. Then for the perfect end to a perfect day, treat your! 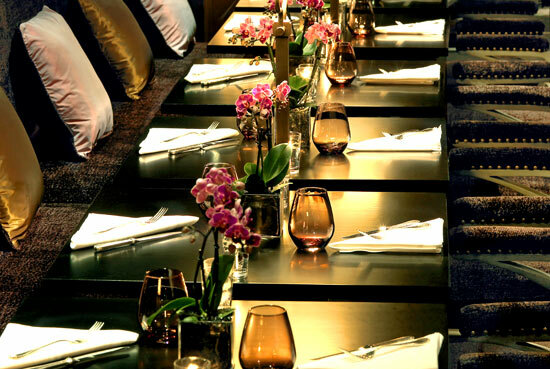 self to a savory experience at le First, restaurant boudoir paris. 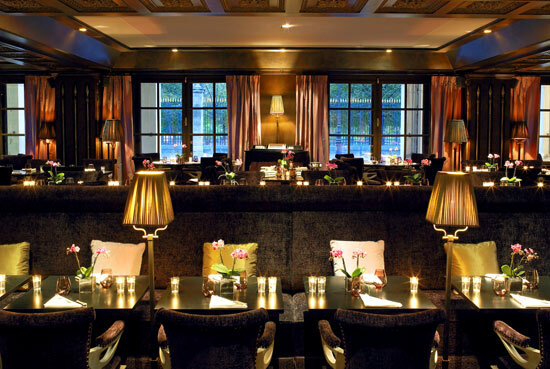 The sweeping, ornate lobby welcomes you in distinctive French style. 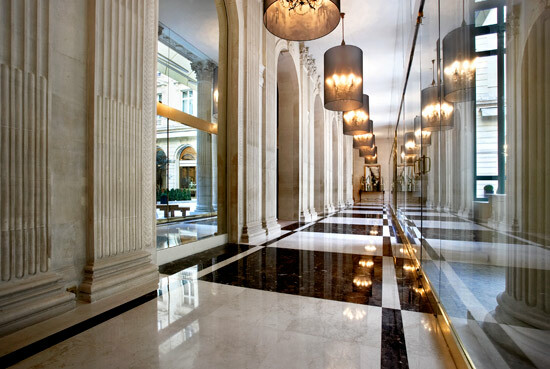 From the moment you step onto the exquisite marble floors you are immediately transported into a world of luxury and refinement. The Westin Paris – Vendôme provides a wide variety of facilities and services to make your stay with us an inspiring one. 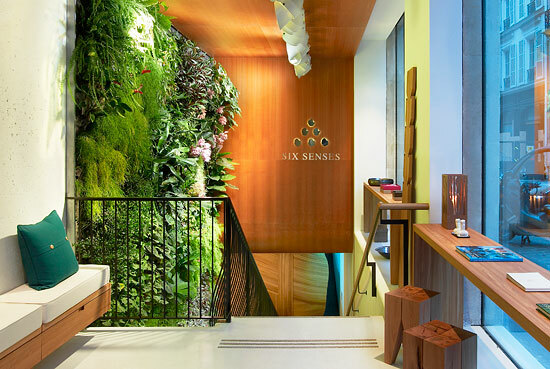 Harmonize your body and soul at our spa, the first Six Senses in France, Six Senses at Rue de Castiglione, Paris. On-site services include the WestinWORKOUT Gym, which provides complimentary equipment and facilities 24 hours a day, year-round. With our unwind program, Westin encourages you to rejuvenate as you make your journey from day to night. Join other guests to discover local specialities, oenology, or enjoy an exhibition in a unique atmosphere in Paris. Some of the services and facilities above may not be available on a 24-hour basis or without advance request. Fees on certain facilities/services may apply. Small dogs are allowed at no additional charge. Six Senses mission is to deliver spa experiences that are both unique and memorable; its uniqueness lies in the quest for perfectly – Balancing Senses. 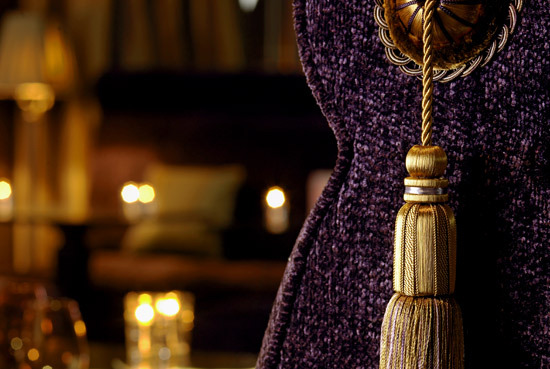 The spa at rue de Castiglione introduces a Parisian interpretation of the Six Senses urban sanctuary. Perfectly integrated into its surroundings, the design draws on such elements as the Parisian sky line and Tuileries gardens and the natural and organic forms of Six Senses. The spa balances the elements of sky, earth and natural wood created in beautiful local craftsmanship. Six Senses practitioners take guests on transformative sensory journeys, through many forms of holistic healing and sense of well-being; through options of body and beauty care, using products that are respectful and in harmony with the environment. They deliver treatments with serenity from a place of deep knowledge. How can you maintain your usual routine without missing a step ?No matter what the day holds in store, our WestinWORKOUT® Gym will give you the energy and focus you need to meet every challenge. The sleek surroundings of WestinWORKOUT Gym feature the finest exercise equipment from Technogym® for all levels of performance. Elevate your energy level on the treadmill and spinning cycle, or grab a mat and let go of stress with a stretching session. WestinWORKOUT provides all the equipment you’ll need for a satisfying workout, from weights to complimentary bottled water, fresh towels and more. 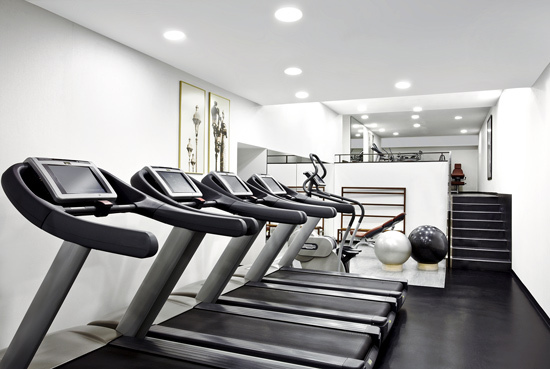 Our WestinWORKOUT® Gym is accessible with your room key and is located on the basement of the hotel, next to the spa. Please note that we ask that minors be accompanied by an adult. 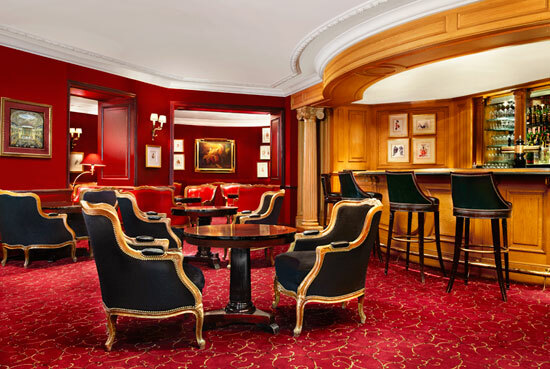 The Westin Paris – Vendôme’s meeting rooms are amongst the most beautiful ones in Paris, including three salons featuring impressive Second Empire-style frescos and the largest conference room with dailight in the city centre. Totaling 2,000 square meters (21,500 square feet), they can accommodate up to 2,000 delegates for prestigious events of all kinds, from fashion shows to theatrical productions and award ceremonies. High Speed Internet Access, spectacular lighting effects, video conferencing, and access to local and international satellite and cable channels. Whatever your technical specifications and requirements are, The Westin Paris – Vendôme blends expertise with intuition to create an event as unique and individual as you are. The state-of-the-art Business Centre provides you with a personal office featuring laptop computer rental, photocopying, and High Speed Internet Access available on-site. Tuileries garden, Louvre Museum, Champs Elysées. Little pets only for an additional fee. Discover the perfect balance between traditional Parisian influence and contemporary design in one of our 440 guest rooms and Suites.Each of The Westin Paris Vendôme’s guest rooms is elegantly appointed; the handmade craftsmanship apparent is in every detail from the furniture to the floral arrangements. 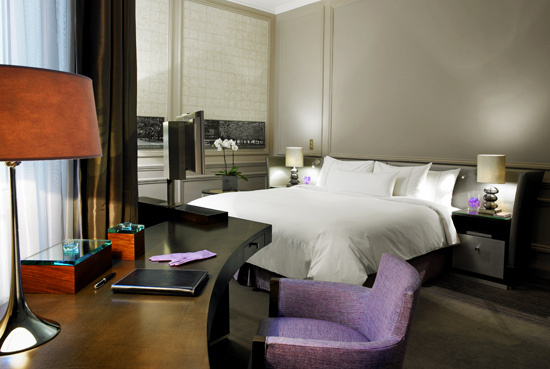 The unparalled views of the city will amaze you, and our signature Heavenly Bed will cradle you in exquisite comfort. Our 78 suites feature a master bedroom, allowing for the utmost in relaxation, work or entertainment. Spacious and light with an exclusive decor, each suite has its own unique design. 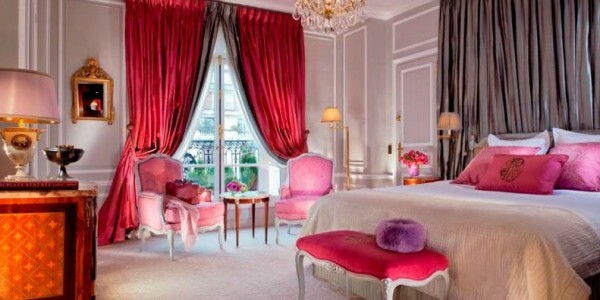 The Westin Paris – Vendôme unique view rooms capture Paris’ most beautiful and eternal treasures. A refreshing retreat, The Westin Paris – Vendôme’s Superior room represents the perfect balance between traditional Parisian influence and contemporary design and features a Heavenly Bed® for your utmost comfort. 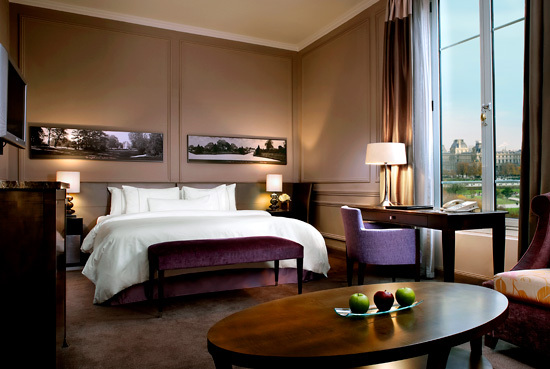 With enough space for you to work or unwind, The Westin Paris – Vendôme’s Deluxe Rooms are ideal for business or leisure. Their renewing and contemporary design combined with the best in modern amenities guarantees comfort and well-being from day to night, work to play, activity to relaxation. 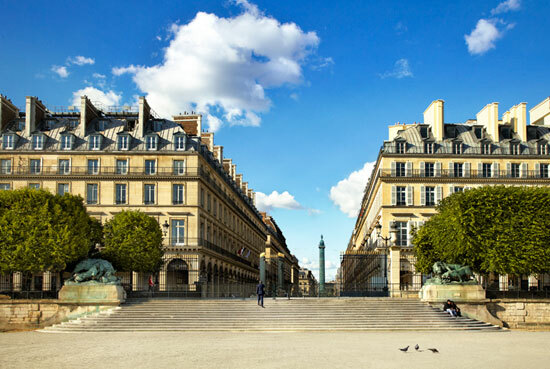 Experience one of The Westin Paris – Vendôme’s unique View rooms and embrace Paris’ most beautiful and eternal treasures such as the iconic Eiffel Tower, the Louvre Museum, the Tuileries Garden or the Place de la Concorde. 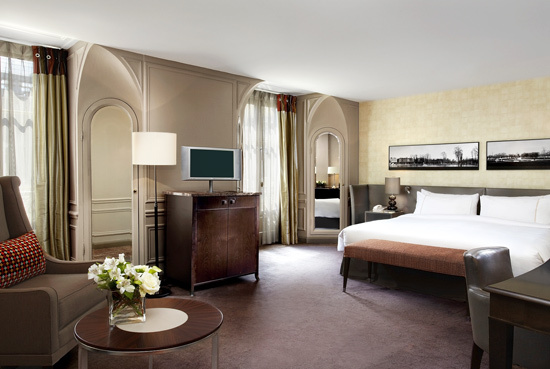 The Westin Paris – Vendôme’s Junior Suites feature a master bedroom, allowing for the utmost in relaxation, work or entertainment. Spacious and light with an exclusive decor, each Junior Suite has its own unique design. Our one-bedroom Prestige Suites and Ambassador Suites are beautifully appointed with sophisticated, contemporary design and spacious layout. 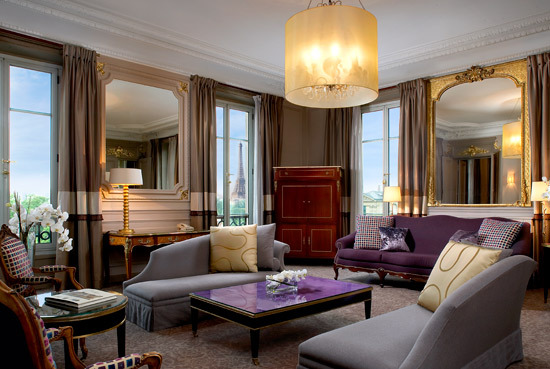 The Westin Paris – Vendôme’s Royal Suites represent unique jewels among our accommodations. Featuring an inspiring living room, these expansive suites can be connected to one guestroom and set an exquisite stage for your private receptions and family stays. 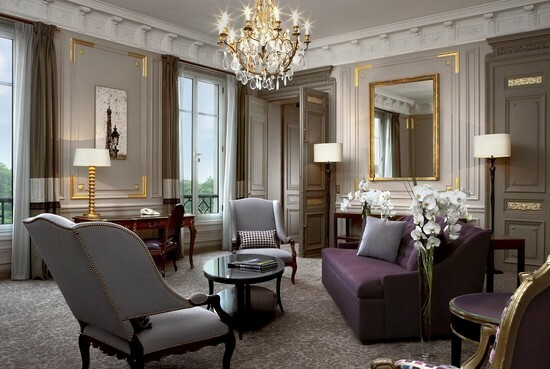 The Presidential Suite is a unique retreat that expertly harmonizes the history of The Westin Paris – Vendôme with high style and modern amenities. 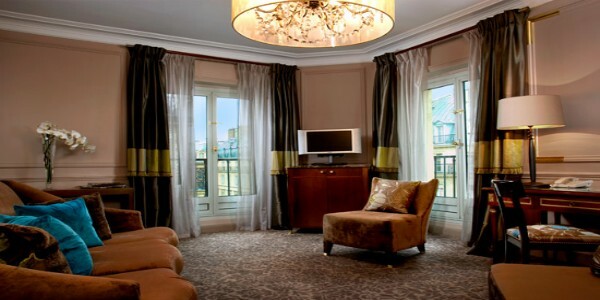 Sumptuous furnishings are peppered throughout the spacious suite, which includes a dressing room, living room, two master bedrooms and breathtaking views of the Eiffel Tower and the most beautiful Paris treasures. “le First, restaurant boudoir paris” located right between place Vendôme and place de la Concorde, invites you to taste an authentic and inventive cuisine, in an elegant and trendy setting designed by Jacques Garcia. Executive Chef Gilles Grasteau proposes a cuisine elaborated with high quality products and organic fruits and vegetables. Our Chef puts his devotion into respecting the seasonality and origin of the products. 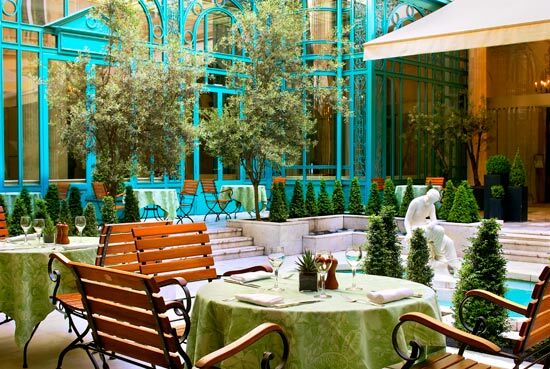 When the weather permits, le First, restaurant boudoir paris, extends outdoor on its patio to become a haven of dining tranquility – La Terrasse. 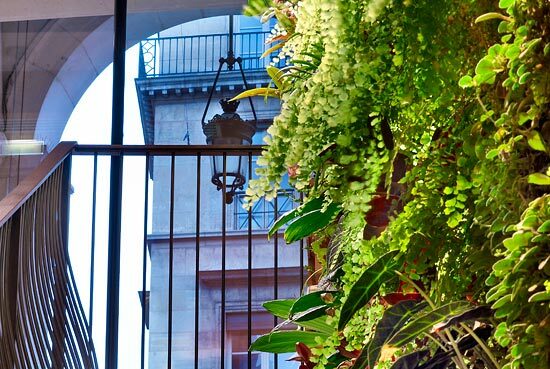 Discover our aromatic square, small spot of green in the heart of Paris. Executive Chef Gilles Grasteau and the Chef Barman Philippe Guidi, have been inspired by these aromatic herbs such as lavender, sage, thyme, rosemary, associating them on their summer menus. For example, experience an alcoholic or non-alcoholic cocktail based on Jing Tea or fruit juice, specially prepared with the aromatic herbs grown on La terrasse, such as the Sarapo, made of sage, rosemary, cranberry and Cox apple juice. For an even more original and refined drink, dare The Victory, perfect mix of sage, rosemary, cranberry juice and Champagne. 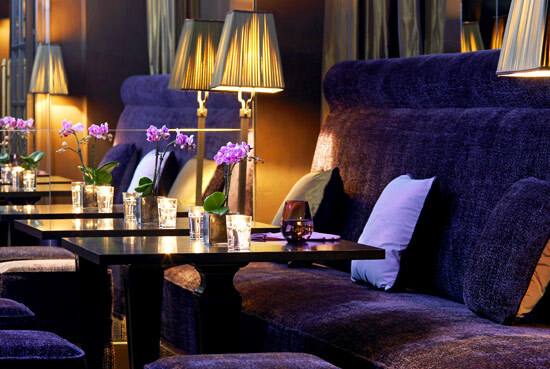 The Tuileries Bar, located between place Vendôme and place de la Concorde, is a cosy and warm place proposing you all day long a wide selection of creative and refreshing cocktails and snacks. Among these snacks discover the various and original Club Sandwiches of the Tuileries Bar, imagined by Chef Gilles Grasteau. Many flavours are offered from duck to king crab. While you are savouring one of these Club Sandwich why won’t you taste one of the surprising cocktails of the Chef barman Philippe Guidi. 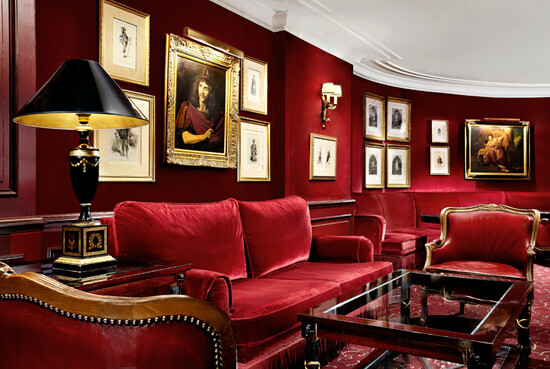 In the evening, the Tuileries Bar turns into an intimate escape from hectic Paris, ideal for sipping cocktails while lounging in one of our comfortable red armchairs. Enjoy the Bar tuileris’ 19th atmosphere and spirit provided by a collection of paintings and photographs of Opera dancers and Theater actors.